Elke Sada (Personal show 2014). 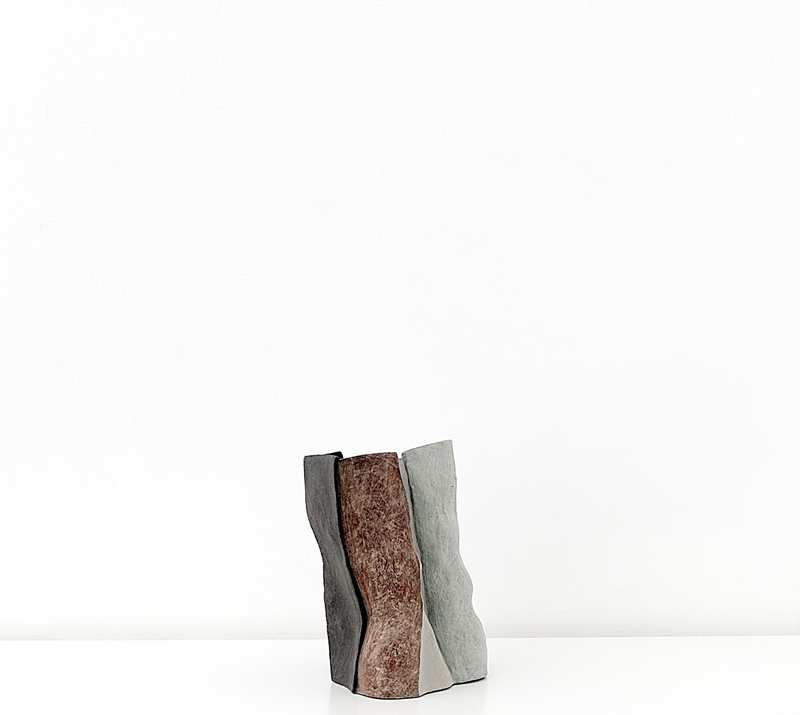 Born in the United Kingdom, Kenneth Eastman is a ceramic artist known around the world for his austere, flat-bottomed, slab built ceramic vessels. He is a graduate of the Edinburgh College of Art and the Royal College of Art, London. The core of his work centers on the idea of the vessel. 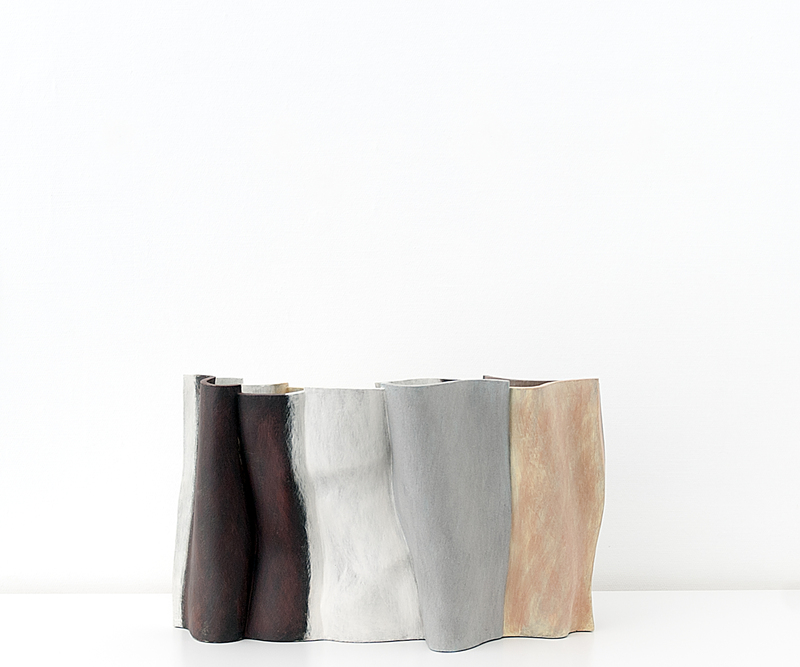 He has never made functional work, preferring to use the concept of the vessel as a means of giving meaning and form to a highly personal expression. 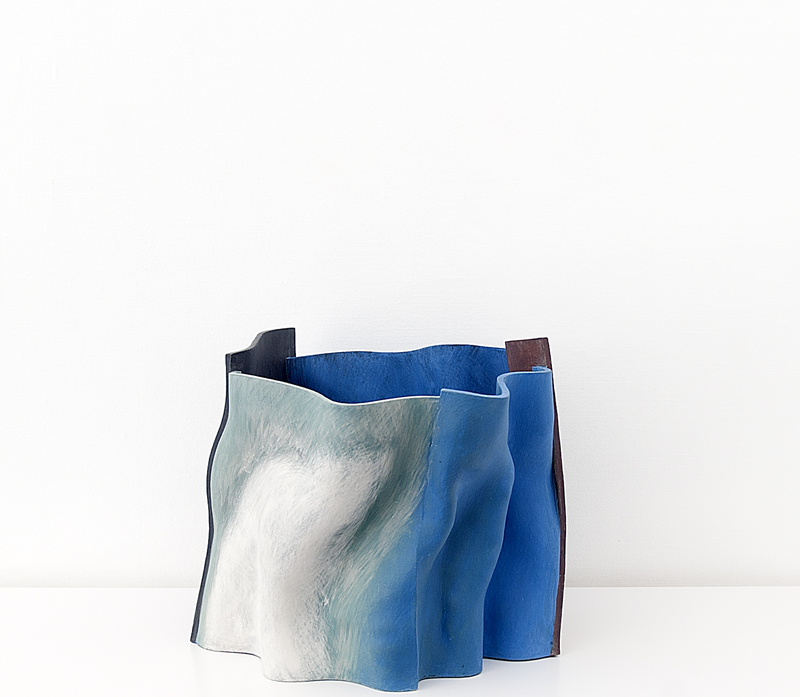 Ceramics enables Eastman to be both a builder and painter; an opportunity to meet the challenge of shape and structure, as well as exploring tone and color. Untethered from function, Eastman’s work with the pot form has followed a consistent route into increasing abstraction, playing with both form and surface. 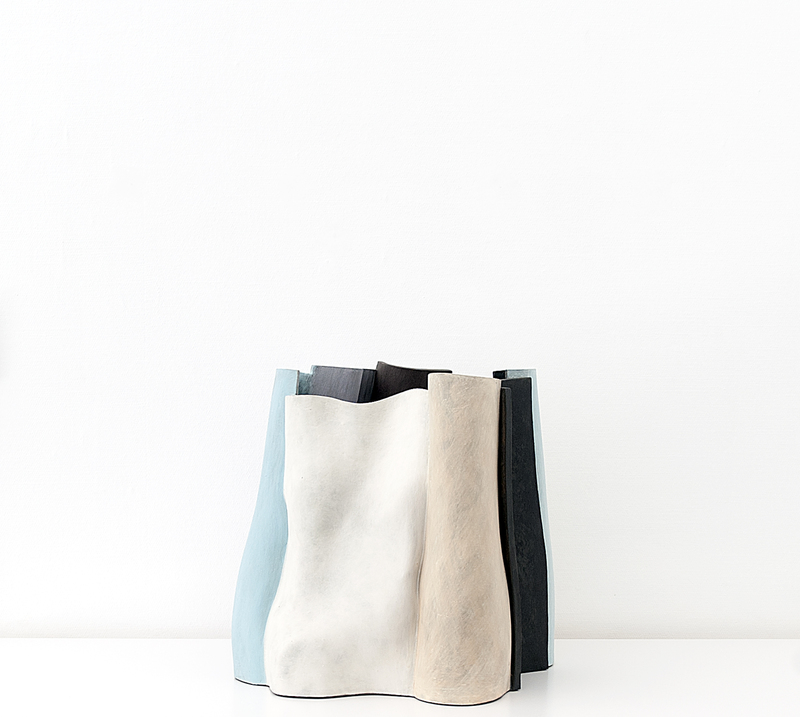 Ceramic art gives him access to architecture, sculpture and painting. Painting has always been a particular strength in Eastman’s work. He becomes positively lyrical on the sheer walls of his objects. The gestures made with the brush are fluid and sensual, the colors rich and quiet. He exhibits widely internationally and has won many prestigious awards. These include the ‘Premio Faenza’, Italy in 1995, the ‘Gold Medal’ at the World Ceramic Exposition 2001 Korea and the ‘President De la Generalitat Valencia’ at the 5th Biennale International De Ceramica, Manises, Spain. The major museums holding his work reads like a Who’s Who of the top ceramic collections worldwide. The list includes the Shepparton Art Gallery, Victoria, Australia; Musee des Arts Decoratifs de Montreal, Canada; Shigaraki Ceramic Cultural Park, Japan; Landesmuseum, Stuttgart; Museum Boijmans van Beunigen, Rotterdam; Museu de Ceramica de Manises, Valencia; the Victoria & Albert Museum; London and the Museum of Fine Arts, Houston, USA. In addition to his studio work, Ken Eastman is an influential lecturer and teacher at many colleges and universities throughout the UK.